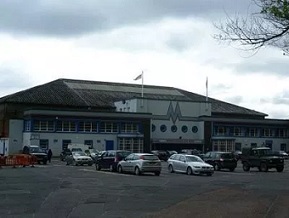 Murrayfield Racers legend Tony Hand MBE has invited coaches and players of ice hockey teams based at the Edinburgh rink to a key meeting on Friday. The much-decorated player, who is in the International Ice Hockey Federation’s Hall of Fame, plans to outline his vision for the future of the world’s fastest team sport at the Capital rink. Underpinning the move is Hand’s desire to develop young, British talent and open trials will be available for anybody to attend. They will be held on dates to be confirmed. And the former Racers, Ayr Scottish Eagles, Sheffield Steelers, Edinburgh Racers and Dundee Stars player has pledged to be totally transparent in his move to take ice hockey forward in Edinburgh. Edinburgh-born Hand, who will be director of hockey for Murrayfield Racers, said: “Murrayfield Racers were once Britain’s most decorated team and I was privileged to play for the club. “They have now been reborn and this is a new era for ice hockey at the rink. Racers have the ice contract at Murrayfield next season and have been entered into the Scottish National League (SNL) and the highly-competitive National Ice Hockey League (NIHL) Cup which, according to Hand, is a big step-up from the SNL. Billingham Stars, Blackburn Hawks, Hull Pirates, Sheffield Steeldogs and Telford Tigers join the Sharks and Racers in the NIHL cup competition. The Edinburgh side will play one home game and one away fixture against each other before two leg semi-finals and a final later in the year. Hand said: “We’ve invited coaches and players from the SNL and under-20 teams as well as other teams playing out of Murrayfield. He added: “Time is short and we have a lot of work to do, but we have been working hard behind-the-scenes over the past few months. “We’re happy to take any questions at the meeting as we plan to move forward in a totally transparent way.